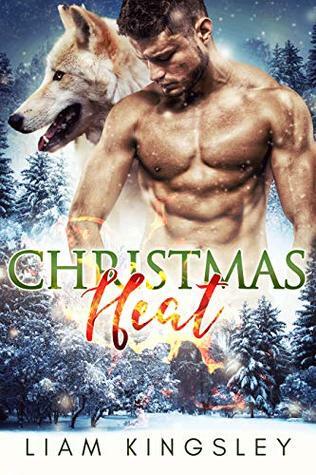 Book Review: Christmas Heat by Liam Kingsley … 9 out of 10! Cover Art: The cover art is very pleasing to the eye. The artist gave the viewer many things to delight over in this cover. I personally loved the artist’s use of color especially in the snow and the trees. I loved the combination of the wolf and the male model. Main Characters: Tyler, an independently minded omega who needs a roommate, meets Stefan, a war wounded alpha who answers his advert. Their instant attraction towards each other leads the men from roommates to mates. The passion between the men burns white-hot fire. Plot: An alpha meets an omega roommate and finds his happily ever after, with a cute little baby thrown in the mix. Writing Style: The story is an easy read because the author created vibrant main characters. He alternated the narrative between Tyler and Stefan. Through his excellent crafting, the reader catches a glimpse of emotional turmoil happening in the characters’ minds. Their conflicting emotions are realistic, not false. I also loved the way the author crafted the dialogue and the intimate scenes. It enhanced my enjoyment of the story. Conflict/Climax: Tyler and Stefan faced a great challenge to get their happy ending, they needed to learn to trust and leave the fear behind. I liked that it was not resolved easily. It was fixed in stages so it felt realistic. Conclusion: I loved this story because of Tyler and Stefan. Their journey to love was emotional and worth reading. For all these reasons, I award this story 9 out of ten stars! Previous Ghost Haunted (Valley Ghosts Series 1.5) by BL Maxwell ~ 9 out of 10!